BenchmarkEmail started in 2004 with their CEO and founder Curt Keller, they are more focused in online marketing. However, they started their events management tool and started their email marketing campaign programs late in 2012. They understand the business opportunities created by events and helping marketers extend their business by planning their events. Benchmark Events help clients in managing events, setting up campaigns, fundraisers and monitor attendees, send out invitations and more. Benchmark Email helps online marketers to send out newsletters to their subscribers and makes sure the recipient receives them. BenchmarkEmail is an email marketing platform designed to maximize the client’s resources and creating a successful email marketing campaign. Their email campaign motto is: “not just delivered, received”. This is to ensure that all their email marketing tools will help their client receive more open rates, traffic and conversions. Currently BenchmarkEmail has over 400 templates available for your newsletter’s needs. Their templates come in different themes and all are guaranteed professional looking. Their email templates come with a drag-and-drop editor making it easier for users to send out emails. Send Email Newsletters: Start sending professionally designed email newsletters to your subscribers. Real – Time Reports: Effortlessly track and analyze all your campaigns with easy to understand metrics. Contact List Management: Lets the client organize, import their contact list and send items in lists or segments. Mobile Email Marketing: They offer a free iPhone app so you can work on your email marketing campaigns even away from the PC. Plugins and Apps: Integrate your emails with easy to use plugins and popular apps. Autoresponders: Schedule your automatic email responses and deliver them on time. Social Media: Makes it easier for subscribers to share your campaigns with their social media sharing buttons and other integrated media channels. Dedicated Email Server: If you have a high volume of contacts, then there is a different email server just for you. Signup Forms: Professional looking sign-up forms that guarantee easier sign ups and increased number of subscribers to your mailing list. Email Deliverability: Makes sure that you will achieve more successful campaigns while maintaining a good reputation among email senders. Surveys & Polls: Helps marketers gather additional information with customizable polls and survey forms. Email Templates: Over 400 email templates that you can choose from. AB Testing: To make tests regarding the email subject lines, send times and others. You will get an idea on how your recipients will react on your campaigns based on different factors. Inbox Checker: Ensures that your emails are working and templates are displaying properly on all inbox clients, browsers and devices. Targeted Emailing: Easily find and target active subscribers. BenchmarkEmail has multiple offers: They have three different monthly plans to suit your budget and needs. Send Based- This plan is based depending on the emails you send each month. List Based- This plan is based depending on the users in your list. High Volume– This is the plan for users who sends large volumes of emails each month. Does BenchmarkEmail have FREE PLAN? No. BenchmarkEmail doesn’t offer a free plan. Does BenchmarkEmail have FREE TRIAL? Yes. 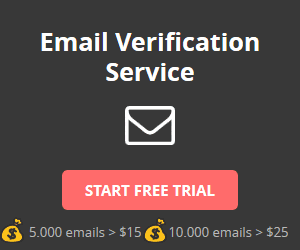 BenchmarkEmail offers a free trial. They offer free marketing email services but with limited features and only 2000 maximum contacts. Does BenchmarkEmail offer an API? Yes. BenchmarkEmail offers API to their clients. BenchmarkEmail offers a free API. The BenchmarkEmail APIs come in two forms: XML-RPC and PHP. In order to access the free APIs, you must open a benchmark account. Both paid and free accounts can access the API. Are there other ways to contact BenchmarkEmail support?